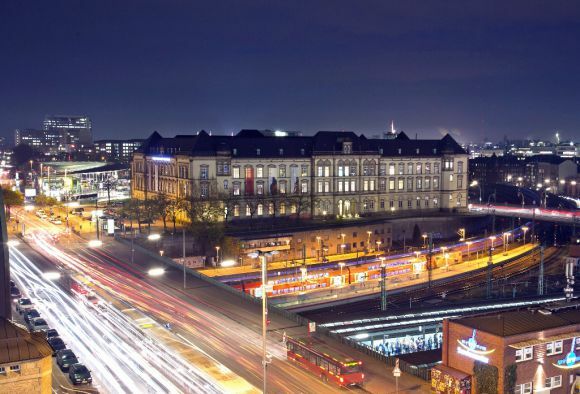 The Museum for Art and Industry (Museum für Kunst und Gewerbe Hamburg) is a museum of applied arts highlighting design, photography, fashion and graphic arts and crafts. The MKG was inaugurated in 1877 under its founding director Justus Brinckmann (1843-1915). The Museums houses about 500,000 objects of art and design, covering a geographical scope from Europe, the Mediterranean Regions, to West and Asia. Over 4000 years of history of design and culture are presented, from Antiquity to the Present Age. 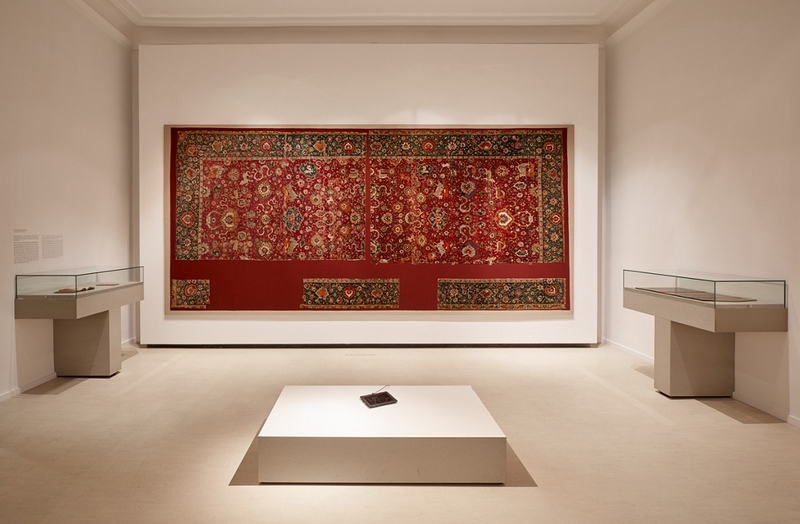 The Islamic Art wing is the oldest of its kind in Germany and has been part of the museum since its foundation. Justus Brinckmann acquired objects labelled Islamic Art in the context of the World Fairs in Vienna (1873) and Paris (1889). 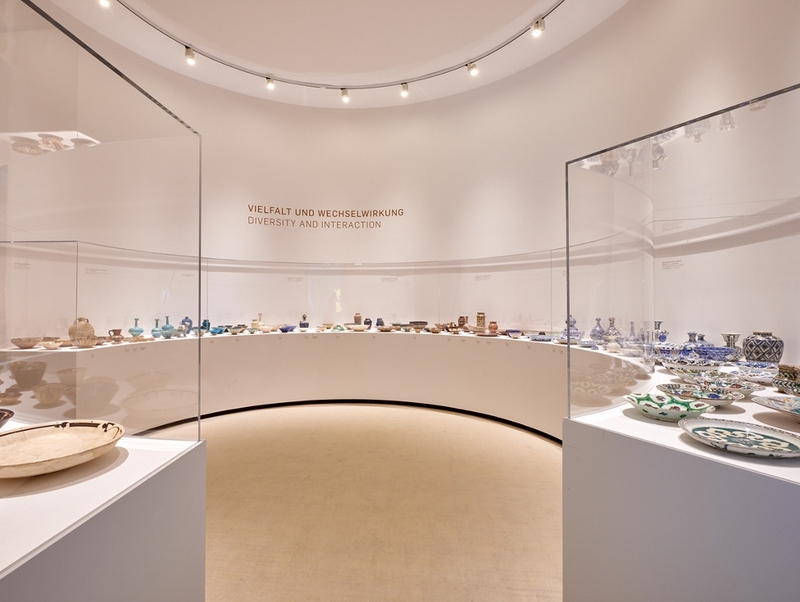 The initial focus of the collection were tiles and ceramics, which were acquired as decorative art. The collection is significant for its outstanding individual objects. For example the Divan Muhibbi an illuminated volume of poetry (1554) by Ottoman Sultan Suleyman the Magnificent or parts of the tile paneling of Buyan Kuli Khan’s mausoleum in Bukhara (Uzbekistan), fragments of a 16th century. Another masterpiece of the collection is a Safavid royal carpet.